Discussions of a new Tampa Bay Rays ballpark in Pinellas County are continuing, with Snug Harbor emerging as a possible site. 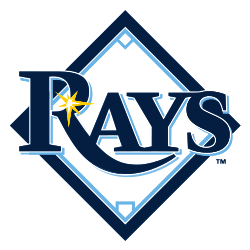 Recently, Pinellas County unveiled a report that listed 10 prospective sites for the Rays. Of note was that only one–a location near Tropicana Field–was within downtown St. Petersburg. Many of the others were in unincorporated areas of the county, and officials said at the time that the search could be expanded. “This is certainly one of many sites that we’re taking a serious look at,” said Melanie Lenz, who is leading the Rays’ effort to find a new stadium. She said the team learned of the site a few months ago, though she declined to detail the site’s pros and cons. In recent months, leaders of the St. Petersburg Area Chamber of Commerce contacted the property owners, Ronald and Deborah Roseman of Belleair Shore, who assembled the land more than a decade ago. The energy magnate and his wife agreed to add the former mobile home park to the list of potential stadium sites. Snug Harbor is positioned as a contender at this point, but Pinellas County is likely to come forward with more possibilities. The Tampa Bay Times ran a feature looking at the 10 sites that were previously proposed, plus seven others–including Snug Harbor–that could be added by the county. That piece looks at the pros and cons of each, coming to the conclusion that while Snug Harbor offers plenty of room and potential for development, it is far from any central business district, may become costly when considering land and infrastructure costs. It also has the disadvantage of being in a flood zone. Bottom line is that the Rays have numerous options on the table. Along with Pinellas County, the team can explore options in Hillsborough County, where sites in and around downtown Tampa have been discussed. With multiple players involved, it seems that it may take some time before a consensus location emerges.